APRN’s Newsletter for the First Quarter of 2016 is now available. 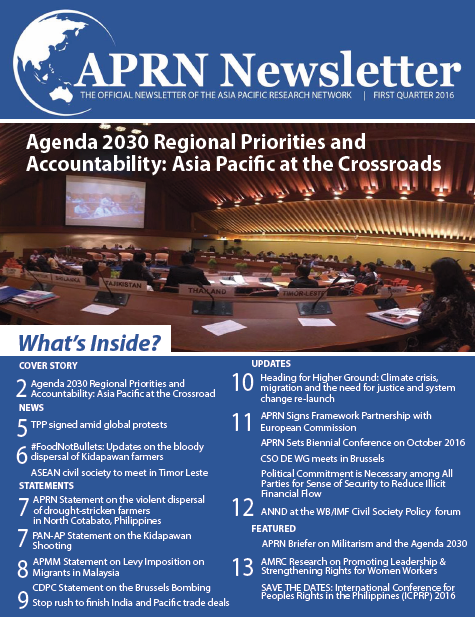 This issue covers the Agenda 2030 and the Recent APFSD, TPP updates, the upcoming ASEAN Civil Society Conference, updates on the #FoodNotBullets campaign and more! 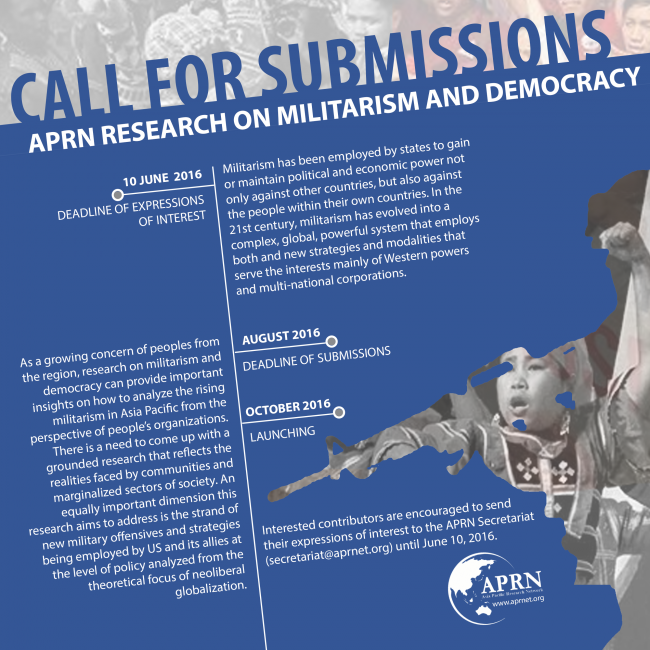 Militarism has been employed by states to gain or maintain political and economic power not only against other countries, but also against the people within their own countries.